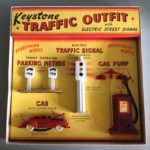 This is a Traffic outfit that would supplement Keystone play sets. 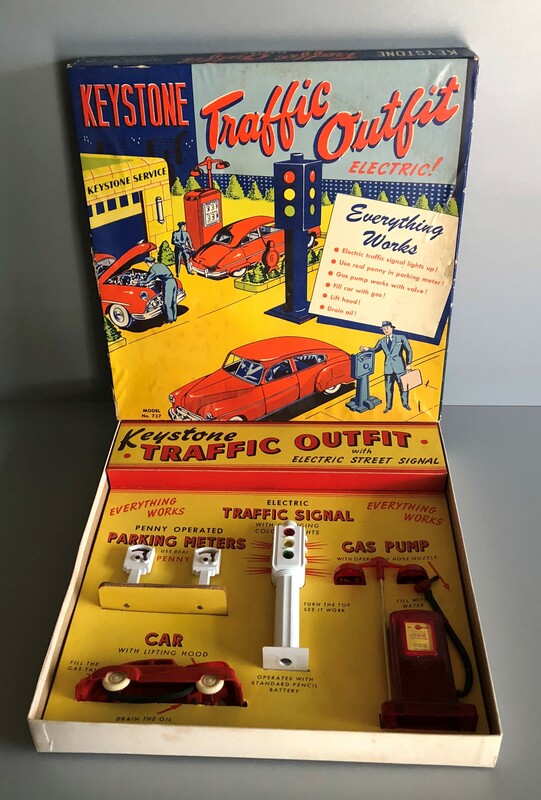 The traffic light is battery operated and the parking meters work when using a penny. 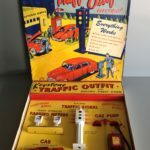 The box measures 12.25″ x 12.75″. 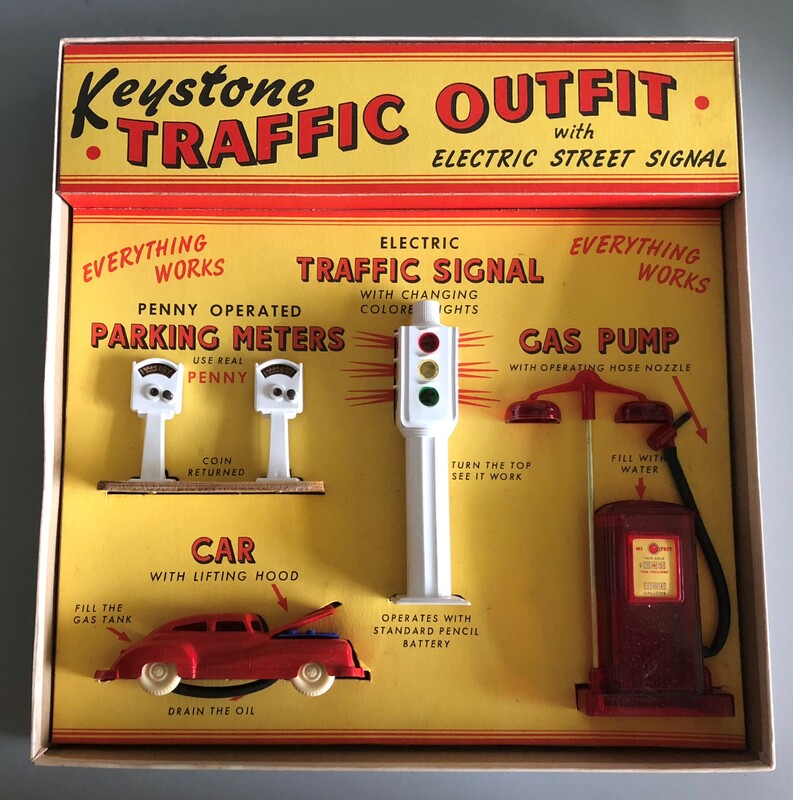 The traffic outfit appears in the 1950 Keystone catalog. This example is a NOS.